Bayer Leverkusen vs TSG Hoffenheim predictions for this weekend’s German Bundesliga. Leverkusen look to make it four Bundesliga matches unbeaten when they face Hoffenheim at the BayArena on Saturday. Read on for our free betting tips and match preview. 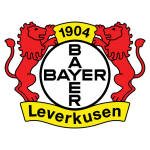 Bayer Leverkusen haven’t quite had the same presence about them as they did last season and have been largely disappointing until last weekend. A much needed 6-2 thrashing of Werder Bremen will do Die Werkself a lot of good, even if their eleven point total is still their worst tally at this stage in a Bundesliga season for 11 years. One positive to take from that game was that each of Leverkusen’s main attacking outlets – Volland, Brandt, Bellarabi (pictured) and Kai Havertz – got on the scoresheet too, so it must be clear to coach Heiko Herrlich now that defense is the area that needs the most focus. Not only have Leverkusen conceded at least two goals in each of their last six competitive outings, but they also hold the fifth worst record overall in the Bundesliga going into the weekend (17 goals conceded). Hoffenheim’s season has also been a bit of a roller-coaster ride, but at the moment at least it looks like Julian Nagelsmann’s men are beginning another ascent. 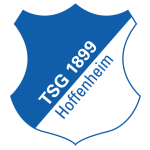 Hoffenheim had lost three in a row prior to 3-1 and 4-0 wins over Nurnberg and Stuttgart in the league, though strong performances, including that at home to English champions Manchester City in the Champions League, are results that have no doubt helped maintain their confidence. English teenager Reiss Nelson has really come into his own over the last month or so and has been a source of inspiration for the club at tough times. And though he didn’t get on the score-sheet last weekend, with four goals in five appearances, he remains one of the Bundesliga’s most in-form attacking assets. So what is worth backing in this one? Well, it’s hard to judge which way this will go, but there has to be some value in this being a high scoring game. For starters, both Leverkusen and Hoffenheim have a really strong balance of being able to score goals, but are lacking in the defensive department – a good starter for goals at both ends if you fancy that. Leverkusen have kept just three clean sheets from their 13 competitive outings so far in the 18/19 campaign (9 Bundesliga, 3 Europa League and 1 DFB Pokal), and most of those were against much weaker offenses than the visitors’. Hoffenheim themselves did manage to keep a clean sheet last weekend, but that was at home to the Bundesliga’s weakest offense (Stuttgart), and before that they hadn’t kept a clean sheet across any competition in the 18/19 campaign – in fact, both teams scored in all 13 of these fixtures. How many goals is the next logical question, and over 3.5 goals looks the best line to us. Leverkusen have scored 10 goals over their five competitive home matches this season, an average of two per game, while Hoffenheim have scored 16 over their six competitive away matches this season, an average of almost three per game. Added to the fact that over 3.5 goals were scored in 75% of Leverkusen’s home and 75% of Hoffenheim’s away matches in the Bundesliga so far, it’s so hard to look past that. Both sides have tonnes of capable attacking talent and yet neither has been defensively astute enough to keep the other out. Leverkusen do have the home advantage and a good track record against Hoffenheim (see head-to-head), but it still feels a tough one to call and we can’t help but think the value lies in the score draw. Our prediction: a 2-2 draw. Over 3.5 goals were scored in 75% of Leverkusen’s home and 75% of Hoffenheim’s away matches in the Bundesliga this season. Leverkusen have a total of 11 points – their worst tally at this point in a Bundesliga season for 11 years (also 7 in 1997/98). Leverkusen have conceded 17 goals this term – their worst tally at this point in a season for 12 years (also 17). Hoffenheim have won each of their last two Bundesliga away games but are yet to win three consecutive top-flight matches on the road. Leverkusen’s Kevin Volland has been involved in a club-high five goals in 2018/19 (3 goals and 2 assists).